We all live varied lives, but so much of them seems to revolve around the kitchen area. Whether we’re cooking up a feast, or just preparing a simple snack, or having breakfast with the family, we all spend a good deal of time hanging out in the kitchen. Sitting together with a good cup of coffee, or chatting with a friend over a glass of wine, we use the kitchen to get together with friends and family, which makes it even more important to avoid these design mistakes and get a kitchen that is both practical and beautiful. Kitchen designers will tell you that the key to the good kitchen is to respect the kitchen triangle: The path between the sink, stove and refrigerator. 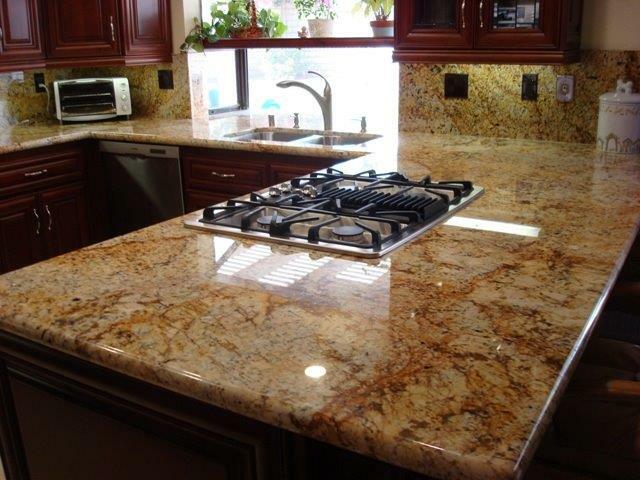 Your sink will probably get the most use, and should have good access to the stove and fridge, as well as any work station areas. Sinks, of course, will have to be installed near your plumbing, but consider hiring a plumber to relocate things if the placement is really poor. 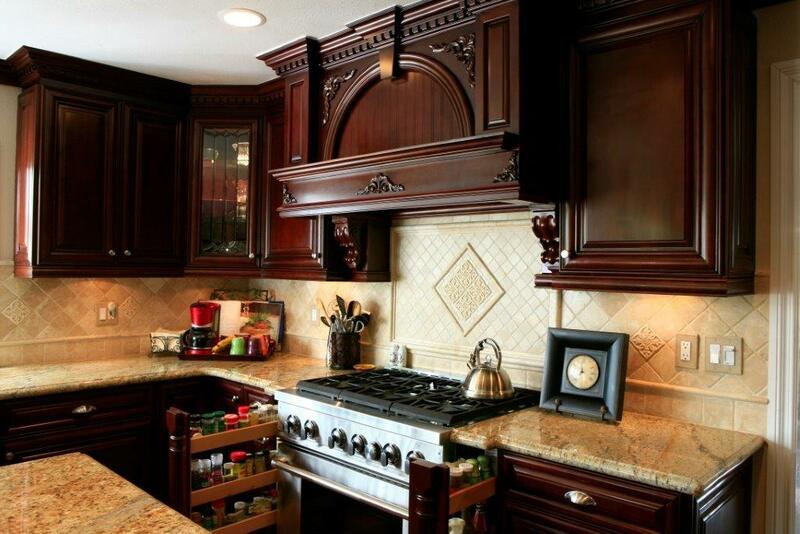 No matter what size kitchen you have, or what layout you choose, the sum of all parts of the triangle should not be more than 25 feet, or less than 10 feet. If the triangle is too small, people will get in each other’s way, and if it’s too large, you’ll be walking back and forth all the time, making food prep take even longer. There’s no denying that kitchens tend to have a lot of stuff. Not only that, they are often oddly shaped, like that stand mixer. It’s important that everything have a home, so it can be put away, but we want it to also be easily accessible. Built in storage is a good option, but keep in mind the overall space you have to work with. It’s important to remember to include all the storage you can. Nearly every kitchen has some wasted space, but you can minimize this by planning. If you’re working with a small kitchen, think about installing cabinets to the ceiling to gain storage up high. Install cabinets over the refrigerator to large or seasonal kitchen supplies. Installing shelves in lower cabinets will increase your storage space. 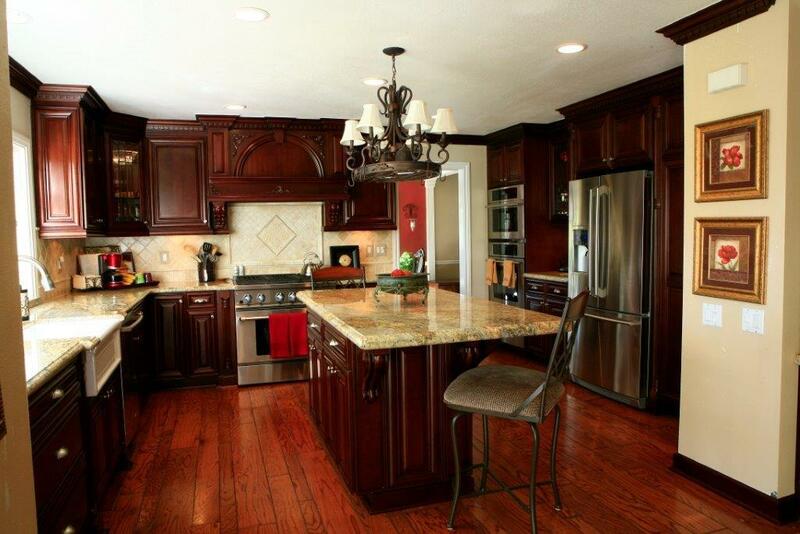 One of the biggest complaints we hear about old kitchens is the lack of countertop work space. Considering all the activities that go on in your kitchen, and the appliances you’ll need out from time to tie, you want to squeeze in as much horizontal space in your kitchen as you can. 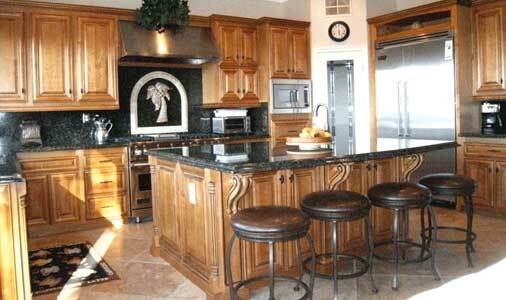 Consider adding an island, breakfast bar or l-shaped cabinet to extend your countertop work area. You can’t afford to have poor lighting your kitchen. Safety is important and a lack of proper lighting can, how shall I put this? Cause issues. And well, it’s pretty good for mood and atmosphere too. Think of three kinds of lighting for your kitchen: Overall lighting, task lighting, and accent lighting. Think of each of your work areas and how much light they need. You may want to add lighting directly above each area. A popular choice nowadays are pendant lights where you’ll get a boost of style along with light. Pendant lights look great above sinks, or in a row. A series of mini-pendant lights can be a great addition to your breakfast bar. Don’t ignore under cabinet lighting either. When designing your kitchen and thinking of all the neat features you want to include, don’t let your backsplash fall off your must have list. Maybe you’re thinking that it’s one way to save money on your project, but that’s short sighted thinking that will only cost you money in the long run. 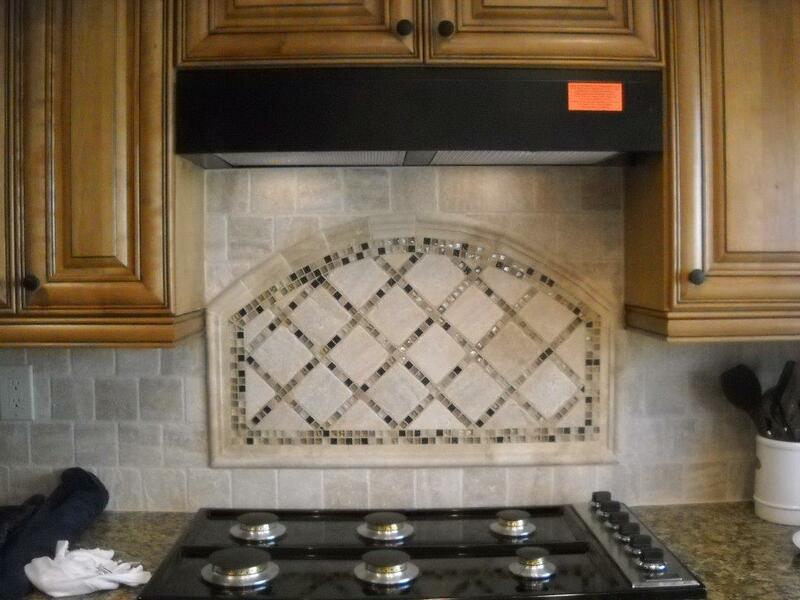 Think of all the grease and humidity in your kitchen and you’ll realize why installing a backsplash a smart idea. It’s a lot easier to clean grease off of tile than metal, plastic, paint or wallpaper. What good is a new kitchen if it is stinky? Have you ever walked into someone’s home and could smell the fish they cooked for dinner last night? Eesh! You understand why good ventilation in your kitchen should not be overlooked. Not only will it improve your indoor air quality, it will help you keep your kitchen cleaner too. A good ventilation system will even help extend the life of your appliances. Kitchen islands usually mean extra storage and more counter space, but kitchen islands can also waste space if you’re not careful. Choose the wrong island or put it in the wrong spot and it can get in the way of your kitchen triangle. A kitchen island should be at least 4 feet long and a little more than 2 feet deep, with enough room to walk around it freely and not bump into other people. Give yourself enough room to move around. 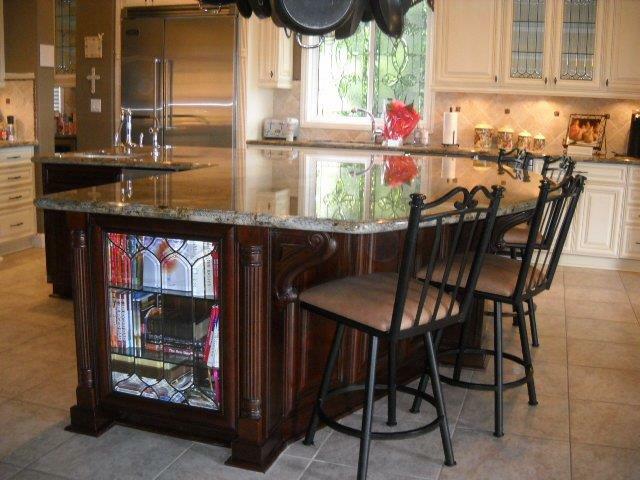 Unsure if you have enough room for a kitchen island? 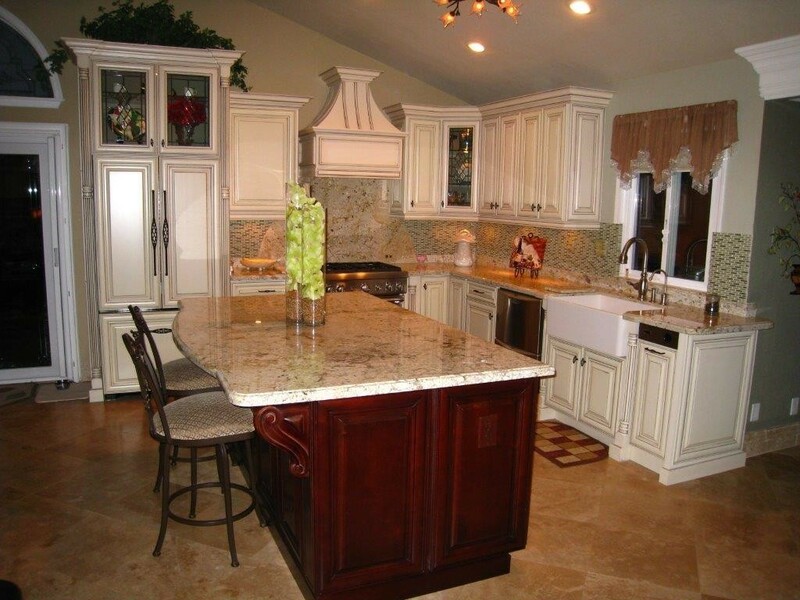 Kitchen experts recommend your kitchen be at least 8’x12′ before you consider including an island. Let’s face it. We can all be a little more green and recycling is a really easy way to accomplish that. 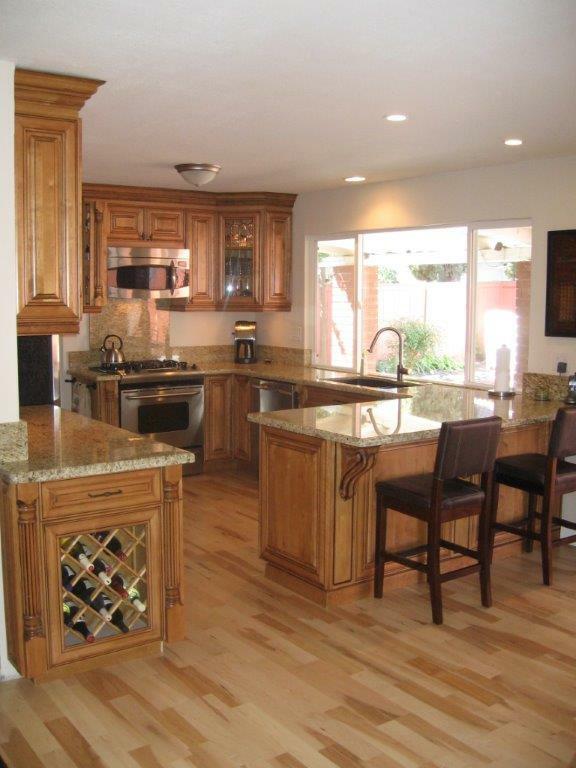 Built in trash and recycling bins are a great addition to your kitchen plan. Keep your trash and recycle bins out of site and do the planet a favor at the same time. Can you say “avocado green”? Because at one point, it was the trendy color of time a few decades back and there were an awful lot of green kitchens. A few years after they were installed, they all looked dated and ready for replacement. So, carefully consider if you want to follow the latest kitchen trends, or if you would prefer a more traditional approach. It’s not necessarily a mistake to go with the latest color or appliance finish, but you may not be satisfied with it in a few years when styles are updated. If you think that avoiding professionals and doing it all yourself is a good way to save money, think again. Unless you have the experience and time to commit to your project, you’ll likely waste more money, time and precious energy with a DIY project. For some projects, it’s not even an option due to safety and the quality of work required. Professionals can also be a great source of design advice, having access to the latest products, design trends, and the ability to translate your ideas into an actionable plan with a completion date. 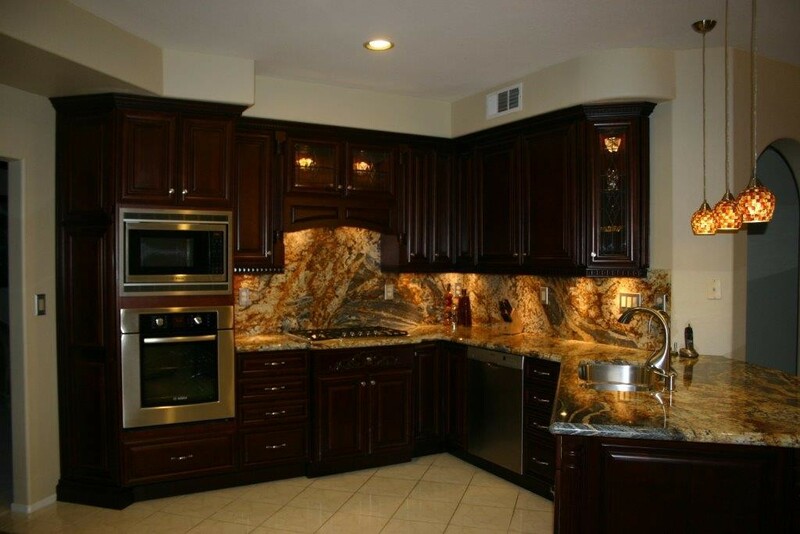 With so many options to choose from, Cabinet Wholesalers is the leader in wholesale cabinets and cabinet refacing in Orange County and throughout Southern California. 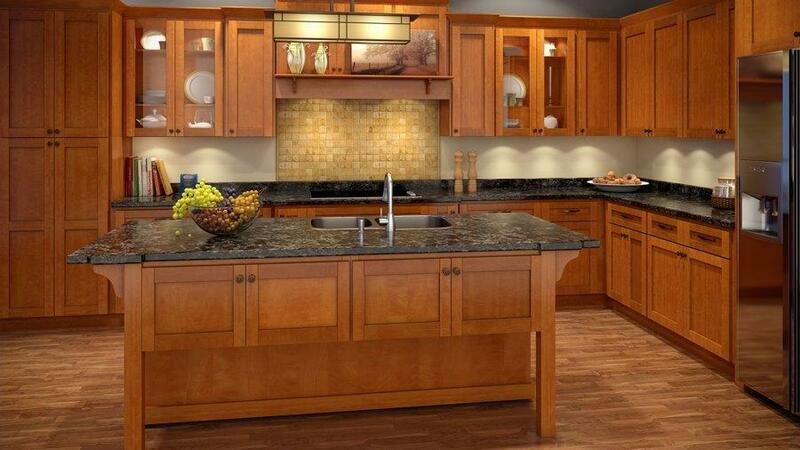 Get a free kitchen remodeling estimate.